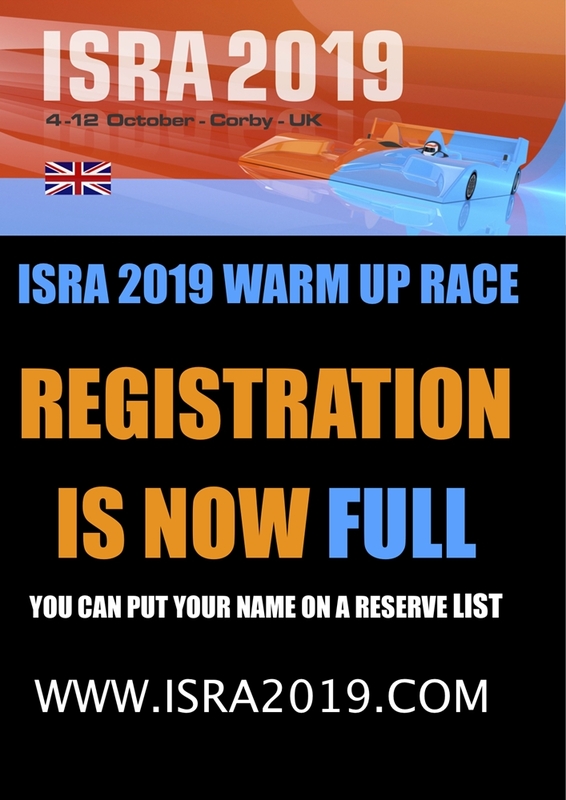 Registration for the 2019 ISRA World Championships in Corby is now open. The registration process for the World Championships will be on the isra-slot.com web site. Registration will open on April 1, 2019 at 4:00PM UTC and close on June 30, 2019 at 4:00PM UTC. A place has become available at the warm up race at the end of May, please use the registration page if you would like to enter. There are severe weather warnings for parts of the UK over the next few days so please check the weather forecast and adjust your travel arrangements accordingly. Please take care, drive safely and let's have a great weekend. 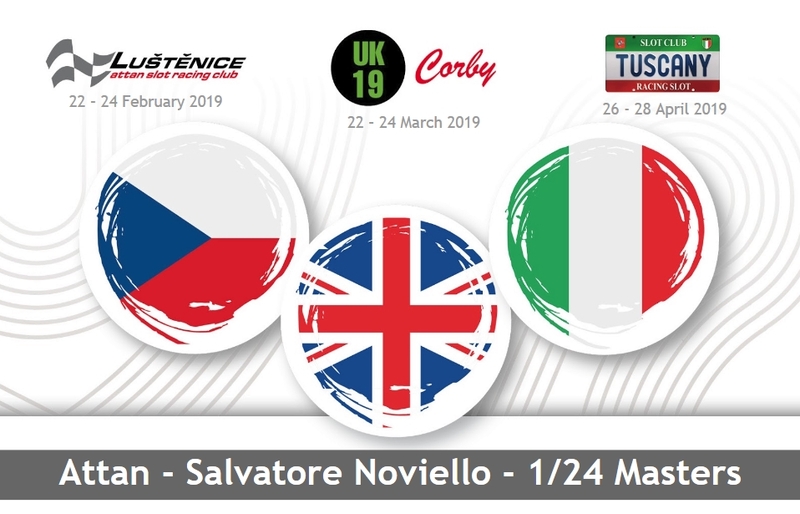 The ISRA Production race takes place this weekend with a lot of the top ISRA ranked drivers in the world competing on the 2019 Worlds track at the National Slot Car Centre, Corby. For example 4 of the top 5 ranked drivers in the world will be amongst those competing individually on Saturday 2nd February and as 2 man teams on Sunday. Check out the entry list on the Production entrants page. This is the new logo, variations of which will be used on ID badges, magnets, lane stickers etc. Another warm up event is announced, the second round of the Noviello 1/24 Masters.